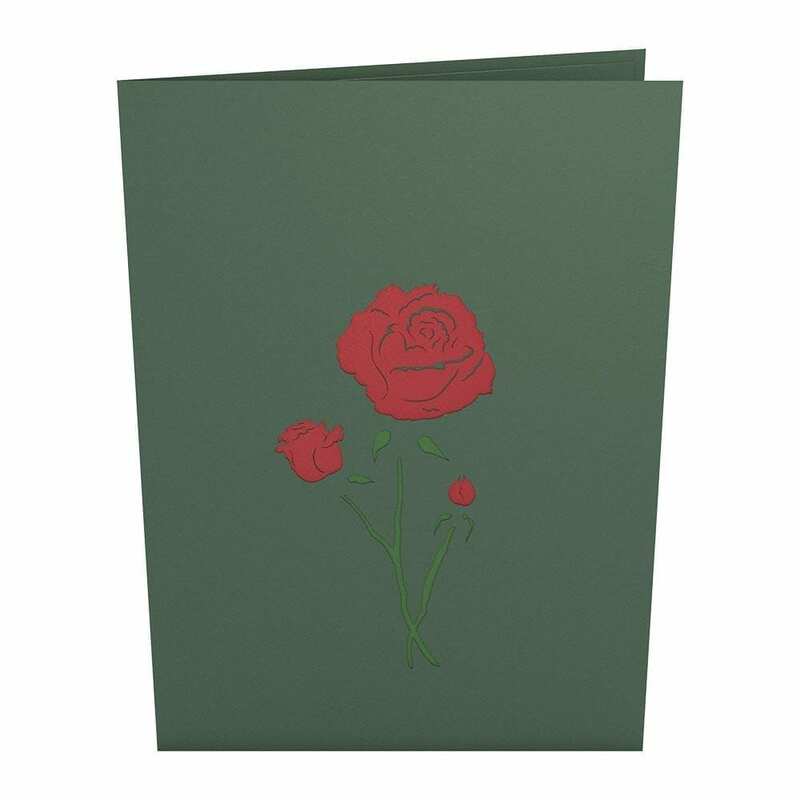 The delicate single stem of a red rose is laser-cut onto the front of this forest green card. 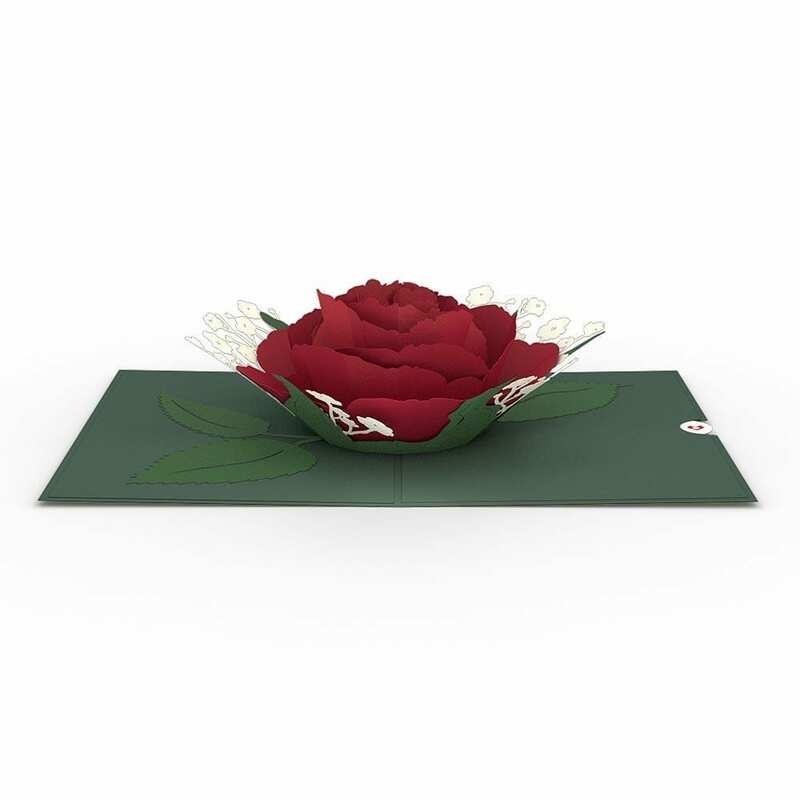 Inside, the bloom engulfs the page, blossoming with layers of seemingly endless 3D petals. Sprigs of intricately cut baby’s breath peek beneath the vivid red petals while textured leaves shimmer against the evergreen background. 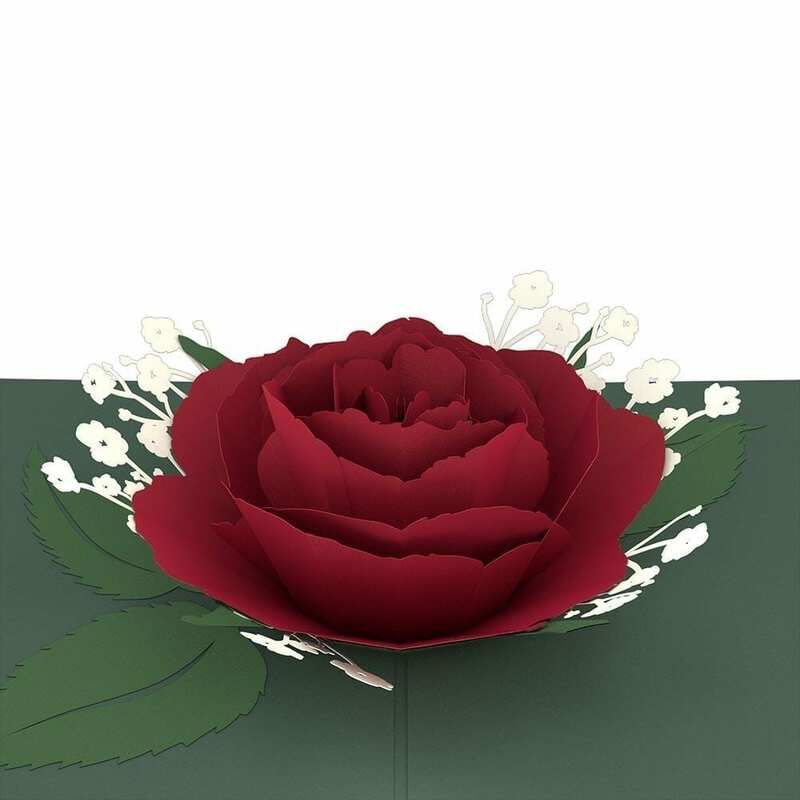 *We will put your card message inside.